A Broadstairs ward councillor is hoping to tackle the problem of inconsiderate parking outside an isle school by raising cash for ‘park and stride’ signs. 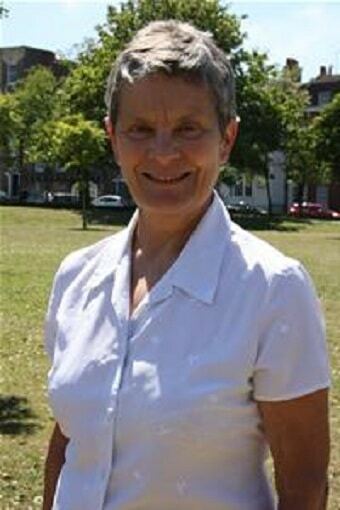 Beacon ward councillor Jenny Matterface says some parents picking up their children from St Peter-in-Thanet juniors in Grange Road are blocking drives, parking on zig zags outside the gate and double yellow lines and even arriving an hour before school ends just to get a space. 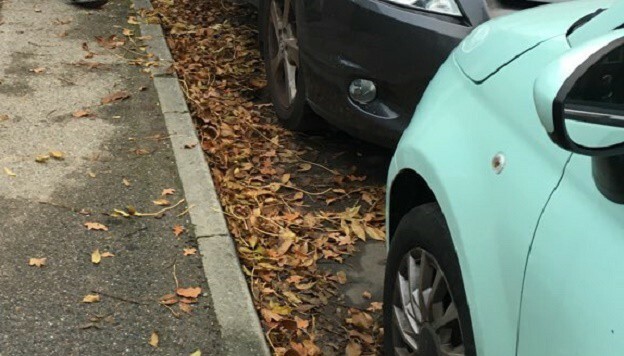 Cllr Matterface says she saw 20 cars parked against ‘no parking’ cones in just one afternoon and has previously contacted council enforcement officers in a bid to get action. She said: “Parking outside Thanet’s schools has been a contentious issue for some time and regularly crops up at Neighbourhood Engagement Meetings with householders talking of the abuse they receive from parents who park inconsiderately, blocking drives, ignoring double yellow lines and other measures put in place for sensible road-safety reasons. “I accept parents are often pushed for time, getting children to different schools, getting to work themselves but ignoring measures put in place to protect children should never happen. “The issue came to a head recently when a parent contacted me about the parking outside St. Peter’s School, Grange Road, where some were parking on the zig-zags outside the school gates putting children at risk and blocking the driveways of the nearby houses. Parking on zig zags is a no no, however parking across driveways and parking on double yellow lines for a short time whilst collecting their children or taking them to school is no big deal the householders knew a school was nearby when they moved to the area. The yellow lines were painted AFTER the the school was built. Much more important things going on than worry about parking near schools. Can you be sure that the school was where it is before the residents moved in. ? I have lived in my home for at least 20 years before the school was planned and even built. I also have to put up with cars blocking my drive -which is illegal- The Law states ” you may park on the public highway in permitted area’s. If a car is not in a householders driveway you are permitted to park across the drive. 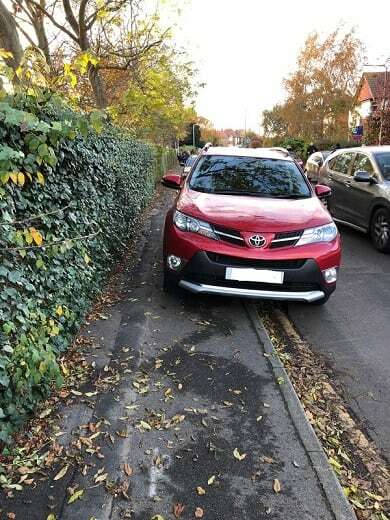 It is illegal to block a householders drive if a vehicle is in the drive.” I cannot see the logic of the argument that the yellow lines were painted after the school was built . Some people used to walk to school if their parents didn’t have a car. Yellow lines were put in place for a reason. Cars blocking a drive whilst a vehicle is parked in the driveway is inconsiderate. What if there was an emergency or that particular householder had to pick up children that ended school after the inconsiderate persons child. How would that inconsiderate person like it if someone blocked their drive leaving them stuck. No it’s not okay, I can only assume it’s something you do to even say such a thing. I always walk my children the extra distance needed to park safely and legally. Selfish, ignorant and anti social to do otherwise. No-Parking cones area waste of time these days as drivers just pick them up and move them elsewhere, ie, on the pavement. It happens everywhere and the people who do it know nothing will happen as there are hardly any enforcement officers out there. Just recently whilst KCC roadworks were happening in Northdown Road they put rows of No-Parking cones down so traffic would keep flowing, what happened every day? The cones were chucked all over the place by inconsiderate drivers parking where they shouldn’t. Traffic got jammed and there were no Wardens to do anything about it. Each morning the cones were put back but almost straight away they were moved out the way again by drivers ! You can’t win. With Schools though, they should all have car parks built with access in and out like they do in other Countries. It keeps the roads clear while children get dropped-off and picked-up. Why can’t they do that in Britain? I live in France now, and eh local schools do not have “in and out” access: One is near a car park, which sensible parents do use, but another has the problem of cars double parked and blocking the road, even, sometimes, blocking the parking space designated for the school bus for children from outlying areas 🙁 From teim teh tiem eh Gnedarems appear and move cars along or issue a fine or two. That’s an easy answer. Yes they knew there was a school there… But in most cases it was just Callis Grange playing fields till At Peter’s was relocated there. I pity the house owners in Grange Rd. That Rd has changed so much. There is no excuse. If you can’t get to school in time to park and walk sign up for extended day and collect later or get a childminder to collect then you don’t even have to go near the school. If you have ever tried to navigate a double buggy let alone a single around the entrance to Store Peter’s you will change your opinion. Why should small children and babies in buggies have to walk in the Rd so lazy parents can save time. Unfortunately this is yet another sad reflection on today’s society. Too many children and their parents are too fat and lazy to walk any distance. The excuse of being pressed for time does not wash with those who turn up an hour early just to get a parking space – it merely proves the point ! I understand that most infant and junior schools have “catchment areas” so basically you have to live within walking distance in any event (you can easily walk a mile in half an hour). Some schools even have a “walking bus” scheme. Anybody attending senior school is old enough to walk on their own, use a bike, or catch a bus or a train. Too many parents mollycoddling their little darlings in my opinion . . . I don’t think that is the case at St Peters.. Most of us work full time and get out of work with just enough time to collect our little darlings! All schools have the same problem but everyone could manage a short walk to school. So get permission from all the carparks in the area to allow free parking during drop off and pick up times. This could be anyone with a car park with available spaces at these times, pubs, supermarkets, train stations or council run carparks etc. I know not all would be able to help without affecting their trade but I’m sure some could. When my daughter was at school I parked away from the school and she walked to me with her friends and enjoyed the independence. From Lanthorne road? Rugby club? Anywhere within a few mins rather than right outside the school…. it really is quite simple. Same outside Northdown school, Margate. Some parents obviously have way too much time on their hands to arrive an hour early to get a space! Parents and taxi drivers park in front of the school not only blocking other cars in and putting children’s lives at risk but also in the way of passing traffic because they are too lazy to walk around the corner. There are several cul-de-sacs with lots of parking spaces literally over the road from the school gates, some days there are 2 traffic wardens to deter the lazy ones but only 2-3 days in a month! People are so inconsiderate and completely ignorant to the dangers.